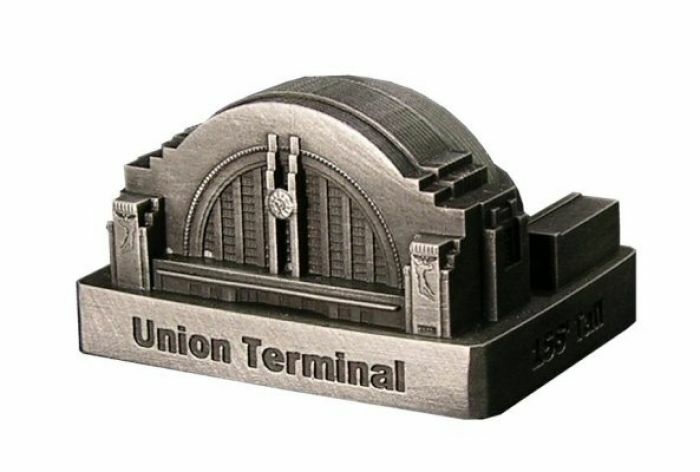 Cincinnati Union Terminal (small) is located at 1301 Western Avenue in Cincinnati, OH and was completed in 1933. This building was designed by Fellheimer and Wagner Architects and stands 156 feet tall. This pewter replica measures 1-13/16 inches by 2-7/16 inches and stands a little over 1-7/16 inches tall and is finished in antique pewter. For more pics and info check out our blog.